St Louis the biggest and best haunted houses in 2018 includes The Darkness, Creepyworld , Lemp Brewery Haunted House and St Louis Escape. Additionally we offer Zombie Laser Tag, Escape rooms a new Monster Midway at Creepyworld. What is NEW in 2018? Each year our company spends hundreds of thousands of dollars and months to expand and improve our haunted attractions and escape rooms. Below learn all the new details about St Louis' Best Haunted Houses and Escape Rooms. The Darkness is the best haunted house in America and has been featured on more national media than any other haunted house in the World. The Darkness gets massive renovations each year in part because of a national haunted house tradeshow that comes to St Louis each March. Watch a video below and see what the ENTIRE Haunted house industry thought of the all-new Darkness 2018. The Darkness now features an all-new Sewer Section damp and creepy. Next door to The Darkness is the Hive Zombie Experience. This is the Darkness 25th Year of Fear! See below a video of The Hive and behind the scenes video of the all-new Darkness. The Darkness also features The HIve a LIVE ZOMBIE EXPERIENCE for only $5.00 more with purchase of The Darkness. If you fear the walking Dead then experience The Hive Zombie Experience! The Darkness will feature TWO NIGHTS of UNLIMTED ZOMBIE LASER TAG. Grab military style weapons then HUNT, SHOOT, and KILL REAL ZOMBIES. This is a two night only event. Pay $20.00 and play as many times as possible. Creepyworld is America's biggest and longest haunted attraction with 13 different attractions in one location! Last year we added TWO new haunted attractions including Quarantine World War Zombie and Trick R Treat Haunted Hayride. Each year Creepyworld adds at least two new attractions and 2018 is no exception. All-new in 2018 is Camp Blood and The Monster Midway. Camp Blood is a unique haunted house where you must find a way to escape by searching cabin after cabin while avoiding the masked killer Jason. The Monster Midway features food, games, 5 Minute Escape room, Zombie Paintball and a Horror Drive Inn. Additionally we added even more to our haunted hayride by building a new section devoted to the Headless Horseman. Creepyworld is the single biggest haunted screampark in America with 13 attractions in one location and now it's bigger than ever. CREEPYWORLD will take over ONE HOUR to complete! Creepyworld is the only haunt in the area with over 120 monsters, zombies and the undead ready to make you scream! New for 2018 is the all-new Lemp Brewery Haunted House 'House of Occult' Every square inch of the old Lemp Brewery Haunted House was totally rebuilt from scratch. Lemp is now longer than ever and the scariest version yet. There is a secret society which meet underground where no one can hear you scream at the Lemp Brewery. Come face to face with demons, get lost in confusing mazes, and face the devil himself. 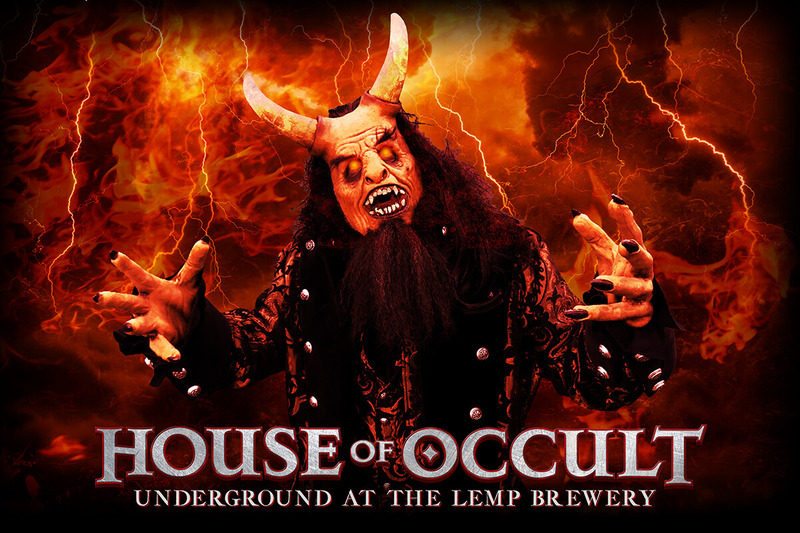 Will you survive the all new House of Occult at Lemp Brewery? Over 5 months was spent gutting the old Lemp Brewery and building the all-new House of Occult. Longer, Bigger, Darker and Scarier than ever before Go deep underground in 2018 in St Louis' ONLY real haunted house. Lemp is located only a mile from Darkness. Buy a combo ticket and experience both The Darkness and Lemp Haunted House in the SAME NIGHT! WATCH THIS VIDEO of the all-new Lemp Haunted House. The entire haunted house industry visited back in March 2018. See their reactions. GO BEHIND THE SCENES and see what it takes to create our haunted houses.